Anonymous, 25 Dec 2011i am using N9 this phone is not so goodHi, why do you say that n9 is not so good? or are you just posting for the sake of posting? 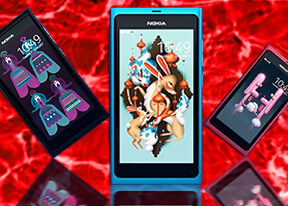 N9Tweak – Many mods for the Nokia N9 in one app! i only want to know what is the price of nokia n9..
is there any vlingo type software?? sgUser, 24 Dec 2011mine is 1.5 days of moderate heavy usage... lots of sms, mms, occasional 3g surfing, some call... moremine last 1~2 days of heavy use,browsing,playing games especially Real Football 2011,loaded Hd Movies and Music,plays everything very smooth,sound quality is awesome. This is the best phone ever. AnonD-15976, 24 Dec 2011it does have front facing camera! ....... also dying OS too. Anonymous, 22 Dec 2011no front camera? my god!it does have front facing camera! Z, 23 Dec 2011why "waranty code"does not work on n9??? strange!What is 'warranty codes' ??? What benefit does it have for a phone? Is it *#92702689# ?? AnonD-34934, 23 Dec 2011does Nokia n9 support USB on the go??????? ?Yes it does support USB on th go! I have plugged it in a copiator and saved my scans! does Nokia n9 support USB on the go???????? Anonymous, 22 Dec 2011no front camera? my god!It has front camera!! Have you seen the phone?? It is in the bottom right corner! naija_nokia, 22 Dec 2011pls guys can this beautiful piece synchronize my microsoft exchange outlook mails?Yes it can! It has Microsoft Exchange support!